LEWISTON — Police are investigating a Monday evening hit-and-run crash in which a snowmobile was demolished on Lisbon Street. Investigators said that at about 5:30 p.m. Monday, Denis Belanger, 66, of Lewiston was trying to cross Lisbon Street after riding off a trail when he was struck by a vehicle being driven into the city. Belanger told police the driver of the car, which he described as a four-door sedan, fled the scene. Parts of the car, including pieces of a fender, were left behind following the collision. 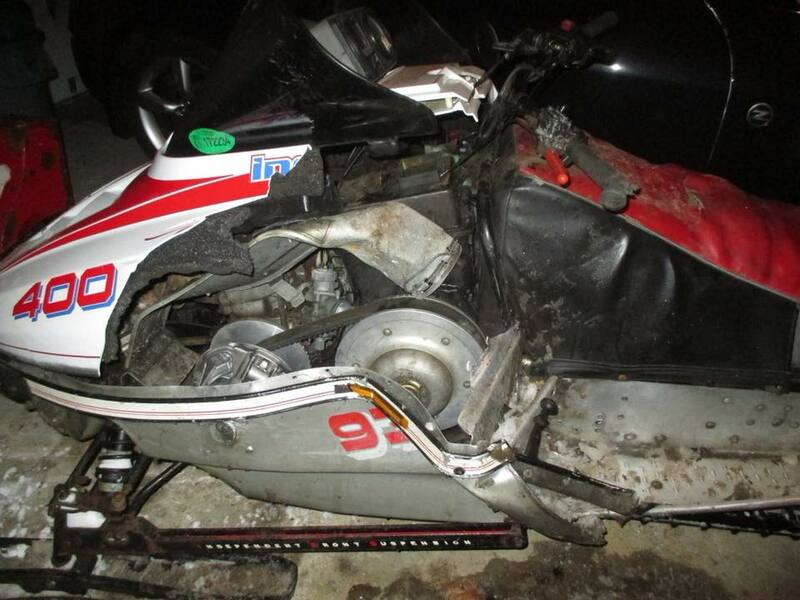 Belanger was not hurt, but his 1989 Polaris was demolished. Belanger, in a Facebook post, said he had been riding to the Gridiron Restaurant to meet his son and nephew when the crash occurred. He said the driver of one vehicle stopped to let him pass, but a second vehicle passed the first and slammed into his snowmobile. Belanger has since taken to Facebook in an attempt to track down the driver of the car that struck him, which he says will have damage to the front passenger side. Anyone with information is asked to call Lewiston police at 513-3001.